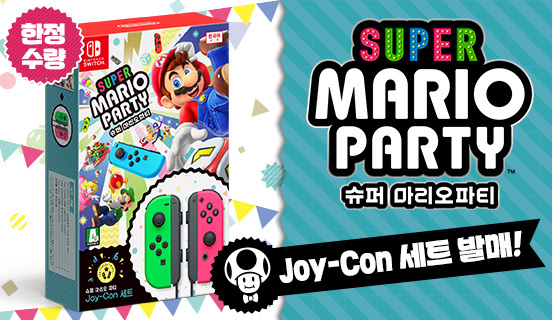 Back in August, Nintendo revealed a Super Mario Party bundle including a physical copy of the title and a neon green and neon pink Joy-Con set was making its way to Europe. Following this, a similar but different bundle was discovered on Nintendo's Japanese website including a physical copy of the game and a neon yellow and neon pink Joy-Con set - with each controller packaged with an appropriately coloured strap. 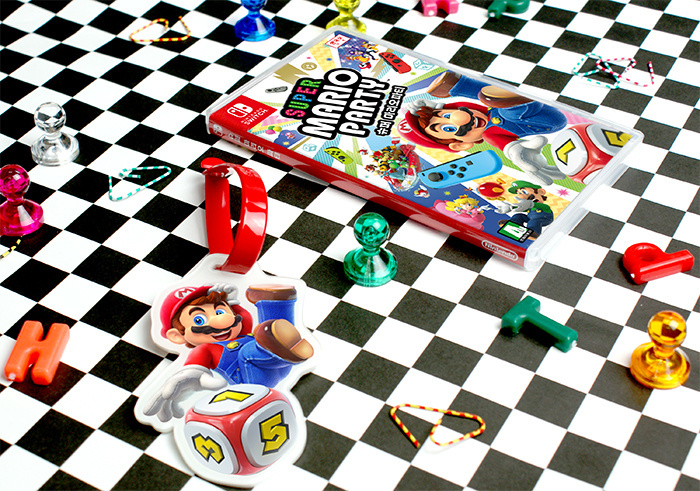 Are you excited about Super Mario Party? Are you going to buy a bundle for a new set of Joy-Cons, or are you perhaps still waiting to hear if your respective region will receive a special deal? Tell us below. As someone who currently lives in South Korea, I support this. Thankfully they also just announced the Let's Go bundle will also hit SK so no importing fees, yay!! But, my wallet will cry. Do we know the price on these JoyCon bundles yet? And if so, can someone tell me what they convert to in US currency? I want to know if Nintendo is offering an inexpensive way to have a 4-player Mario Party (which I would hope since Pro Controllers aren't compatible), or if they're being outrageous again. @Not_Soos Prices for the bundle in Japan and South Korea convert to roughly $90. @Trikeboy Where are you living? I'm south of Seoul in Gyeonngi-do province. @Liam_Doolan Not bad at all, all things considered. Thanks! @Not_Soos even better if one has the gamers club unlocked from best buy still, with that its cheaper then just buying the controller's regularly. @Nintendofan83 I'm not Trikeboy, but that's pretty wild, I live in the same area! @klingki nice! I am in Seongnam-si, Bundang-gu. It's an awesome to live but I go up to Nambu for my games! @Nintendofan83 Nice, I'm a bit familiar with that area. I live in Anyang-si. I buy all my games through Amazon though, so I haven't checked out a ton of gaming stuff here. I went to the official Nintendo store in Yongsan once, but it was pretty underwhelming. Hopefully NoE can confirm the price of this in Europe sometime soon. The Korean price equates to about £71 and the Japanese price is about £68. 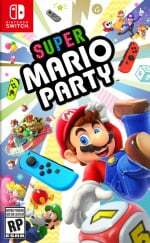 Considering Joy-Cons on there own are £70 you are essentially getting a free game if we see similar pricing over here. I wasn't planning on picking up SMP but with such keen pricing and a family holiday later in the year this bundle could be just the ticket. Anyway good to see another region getting the bundle, surely NA can't be far behind in confirming it. @Nintendofan83 I'm down in Gwangju, Jeollanam Do. I used to live up near Seoul but I prefer life down here. It's exciting every time we hear about this bundle coming to a new region! I also just noticed it is coming out on December 1st. Thats a bit close to Super Smash Bros but that means I get a game before my birthday and after my birthday.